Dealing with a lost dog is a nightmare no pet owner wants to experience. This can happen anytime and anywhere, and is especially likely when traveling with your Fido. Unfortunately, that's something we have to think about now and again, because we never know what can happen to cause our pets to escape, or worse, have them abducted by a stranger. In this podcast, I'm talking with Aimee Gilbreath who is the executive director of the animal welfare non-profit Michelson Found Animals. This company's focus is to keep pets safe and close to their owners, and they're also the first company to ever offer FREE national microchip registry. If you're not familiar with all the intricacies of microchipping dogs and cats, then this episode is for you – tune right in! INTRO: Having your pet get lost is one of the biggest nightmares for every pet owner. We all worry about it. Today I wanted to talk to an expert who could give us some advice on how to prevent our pets from getting lost and also what we can do to ensure that they come home as soon as possible in the event that they are lost. I was fortunate enough to have a conversation with Aimee Gilbreath, and she's the executive director of the Animal Welfare non-profit, Michelson Found Animals. There is a link to their site on our page, theoryofpets.com. If you're watching this on YouTube or social media, the link to that will be found right underneath this video. Michelson Found Animals is a non-profit animal welfare organization that's committed to keeping pets safe at home with their pet parents. They offer lots of solution-based programs like micro-chipping, spay and neutering services. They also have grants for research into non-surgical spay and neuter methods, which Aimee touches on briefly at the end of our interview; you'll hear her talk a little bit about that. What they're best known for is that they are the first free national micro-chip registry for pet parents. I'm going to let Aimee tell you about some of the things that Michelson Found Animals offers, and also some of the things that we can do every day as pet owners to ensure the safety of our pets and keep them home safe with us. Aimee: My name's Aimee Gilbreath, and I have the great pleasure and honor of being the executive director of the Michelson Found Animal Foundation, a job that I have held almost for ten years; it'll be my ten year anniversary in March. Aimee: Thank you. It's the longest I've had any job. And I never thought I'd work in animal welfare. So that's saying something. Our mission here is saving pet, enriching lives. And we do that in a whole variety of ways. Nationally, we offer the micro-chip program that we're going to talk about today. We also do some funding for animal welfare groups nationally. Then in Los Angeles, we almost function like a shelter or humane society would; we have adoption programs and neuter programs, public policy programs and an amazing volunteer program. So it's all pets all the time. Samantha: Wow. That's exciting, but it sounds really busy at the same time. Aimee: It is really busy, and it does come with a big supply of lint rollers. Aimee: Yeah, I can't go anywhere. So I have a lint roller in my briefcase, in my car, in my office, in my home, so I can both work with pets and occasionally work like a professional adult. Samantha: [laughs] We have two dogs and four cats, so I completely understand the battle of the hair. We do that every single day. I am also going to link to your website, Ally sent that to me and I checked it out a little bit. 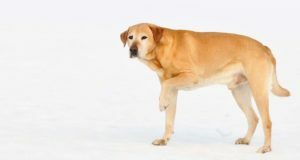 Today we're going to talk about a lost dog which is every pet owner's nightmare — lost pets, not just dogs but cats too. A big part of what you do is educating and helping pet parents get micro-chips for your dog or cat. Can you tell us exactly what a microchip is and how they work? Aimee: A micro-chip is a tiny little electronic device, about the size of a grain of rice, and it actually has an RFID technology embedded in it. It's what's called passive RFID. And what that means is that the device just stores a number in one little circuit, and in order to tell someone at a veterinary office or shelter its number so that they can reunite you with your pet, it has to be activated by a scanner. So the scanner and the micro-chip are a system that need to work together. The shelters and vets offices have scanners, and it's standard practice everywhere in the country that when a lost pet comes in, they scan for that microchip. The scanner and the micro-chip talk, and the micro-chip tells the scanner its number. Think of it almost as a social security number for your pet. Then you're able to look up that number in a database and connect the number of the chip to the pet owner's contact information. What's really important about that, though, is that people sometimes forget, is because that microchip only stores the number, you have to keep your micro-chip number registered in a database with your up-to-date contact information so that a shelter or a veterinarian can reunite you with your lost pet. Samantha: Of course. I can definitely see how that would happen. We've forgotten in the past, so when we've changed the phone number, or moved to a new address, to update just our dog's tag. So I'm sure people forget. You must have to go online to do that? You can come to our website. It's always free, which is one of the things that makes our registry different; it's one of the things that we think is to do as a non-profit, is we never want cost to be a barrier to registering that chip or keeping the information up to date. So regardless of what brand of micro-chip you have or where you got it, you can always come to our site and update that micro-chip, change the contact information. I sometimes even update my contact information if I travel; if I go home to see my family, I change my emergency contact from my boyfriend in Los Angeles to my family in Phoenix, so that they'll get the call if something happens while we're traveling. Samantha: Oh, that's an excellent tip for pet owners that travel with their pets frequently. That's awesome. So can or should pet owners — are there any dangers to the pet's health that could be caused? Or is it painful when a dog is micro-chipped? Aimee: Micro-chipping is not any more painful than a vaccination. So it does involve being stuck with a needle, and some dogs and cats do feel it and notice it, and don't love it; others ignore it, act like nothing ever happened. There's not any significant danger to being micro-chipped. As with anything like a vaccine, when you break the skin, there's always a danger of infection. So very rarely you will hear about infections from a micro-chip insertion, and that's why the vet or technician who's doing it will sterilize the area before they implant the micro-chip. There have long been rumors that micro-chips cause cancer in pets, but actually all of the veterinary groups out there have looked for evidence of that and not found any. So they are very safe. Samantha: And there's no pain after the initial injection either, for any animal, around where the micro-chip is? Aimee: No. It's a little prick and then they're all done. Samantha: So, where… If a pet owner wanted to go to have their pet micro-chipped, would you recommend going to the vet? Are there other places? Are there… Like, I know in our area, they do rabies and vaccination clinics that are a little bit cheaper sometimes then going to the vet. Is there anything like that that pet owners should know? Aimee: The most common place that people get their pets micro-chipped are either at the shelter or at their private veterinarian. Private veterinarians will tend to charge a little bit more. It could cost you in the neighborhood of 50 to 75 dollars. Whereas sheltering agencies and vaccine clinics sometimes offer it for much less. I know in our adoption centers, we do micro-chip Mondays for ten dollars every week. So if you shop around, you can usually find reduced-cost options or even free options if cost is a consideration. Samantha: Oh, that's excellent. And I know in some of the shelters are rescues. I know in the last few years, the shelters in our area, just like pets come spayed and neutered, they will come with micro-chips too, as well if you adopt. Aimee: Yes. They do. Most shelters and rescue groups micro-chip as a matter of practice, that they do it with every pet that comes in. So that's fantastic, you, as a pet owner, need to make sure that when you adopt that pet, you get all the information, so that you can register that micro-chip in your name, and get your contact information attached to it so that if your pet's ever lost, the call comes to you instead of to the rescue or shelter. Samantha: Yes. Absolutely. Of course. That's an excellent tip as well. Let's just say your pet doesn't have a micro-chip. A lot of people that ask me questions about it, they're thinking about it. But like you said, there's some mis-information out there about like, for example causing cancer, or being painful or things like that. So they haven't done it quite yet. So let's say your pet isn't micro-chipped and he gets lost. Do you have tips for pet owners who have, unfortunately, experienced that? Aimee: I do. The first tip would be, make it less likely for your pet to want to wander. So do spay or neuter. Because often, especially for male dogs, them getting excited about a female in heat is what causes them to go explore in the first place. So you can lessen your chances by making sure your pet's spayed or neutered. And then, as soon as your pet gets lost, as soon as you realize your pet's gone, you need a plan. That is everything from having good photos of your pet, posting them on social media, asking your friends and family to help you look, searching around your neighborhood, having an ID tag on your dog or cat, so that hopefully a neighbor who find them can bring them straight home without ever even going to the shelter. That said, if you don't find your pet right away in your neighborhood, you should know where your local shelters are and file a lost pet report with them, as well as fliers in places around the neighborhood, and then keep checking back. Because sometimes a dog or cat will be on their own for a couple of days before they end up at the shelter. So it could be that when you first called the shelter, or visited the shelter, your pet wasn't there, but a couple days later they are. Are there any products available for pet owners? Obviously we talked about micro-chipping, and you did mention ID tags as well. Would you recommend any other products for pet owners who are trying to keep their pet from getting lost? Aimee: There are some GPS collar attachments out there, and I actually have one on one of my dogs, who is a little skittish. So those can be a valuable tool, particularly if you know that you have an animal that is prone to getting out. What I will say, though, is that none of those have an extended battery life. So if you're going to use a GPS collar as a backup, you have to remember to be very vigilant about charging it every two or three or five days so that it will be working if and when your pet gets out. I love what you said about a skittish dog. We have, one of our pets is skittish as well. As I mentioned, ours are all rescues. Our little beagle is very timid. She's great with me and my husband, but I would be afraid if she ever got lost, I don't think she would ever come to a stranger. Maybe if she got hungry enough or if she was out for long enough she might. But I love that idea of equipping them with a GPS tracker, especially in that instance, if you're afraid that your pet might not go up to a stranger or into somebody else's yard looking for a house to go in. That's a great idea. Aimee: It is. My older dog is the kind of dog that, as soon as he realizes he's out, he's going to go looking for the first human, because he wants to be warm and he wants to be fed. But my younger dog is one that she would just run and run, and wouldn't come to anyone. In that situation, if you've got a pet like that, it might be worth the investment, both in time, to keep the collar charged, and then in money to pay for the device, and then for the ongoing network fees to keep it on the GPS network. Do you have any other tips for pet owners when it comes to micro-chipping, or preventing animals getting lost? Aimee: The biggest thing, I would say, is to be prepared. We talk to a lot of people who think that their pet's never going to get lost — it's an indoor animal; it's a dog that's with them all the time or a cat that never leaves the house — and what people tend to forget is the circumstances outside of our control — a natural disaster, a flood, a fire, the friend's child that leaves the front door open, the gardener that leaves the back gate open. So my biggest tip is — even if you think your pet will never get lost, please prepare yourself and prepare them, so if they do, you have the best chance of getting them back home. Samantha: Absolutely. We live… I'm in a very rural area in Maine, and a lot of people in our area fence their yards in. We don't have a lot of home-owners' associations or anything like that where that stuff's not allowed. So it's very common here for pet owners to fence in their yard. And I often people — when I talk about ID tags or micro-chipping, they'll say — oh, our dog's in a fence so he's fine. And they kind of forget that a fence can be dug underneath or some dogs can even climb over fences or the gate can get left open; there's always some risk of your dog getting lost. Obviously, if they're just out free roaming in the yard, it's a little bit more. But I think that's really important for pet owners to remember that even if your dog is — on a run or in a fence — that it is still possible. So having that backup plan insures that you're not going to have to be searching for a lost dog. Aimee: Well we love them like family. So when they get lost, it's really scary and heartbreaking, and it's good to know that you've got everything you can. So we always recommend a collar with an ID tag and a micro-chip, and then if you want to go the extra mile and add a GPS device, you can do that too. Samantha: That was all my questions on micro-chipping. But did you want to talk about the Michelson Found Animals Foundation? Or anything like that? Aimee: Sure. We can give you a little bit on that. Samantha: Yeah. Absolutely. That's great, and I'm sure it would be some good publicity for you guys as well. Aimee: Yes. Please. Thank you. Samantha: So, you're the executive director of animal welfare, which is — it sounds like a really big job. I mean, you explained a little bit about what you do, and it seems like you guys are into a lot of different things between micro-chipping, and adopting and fostering. So what is it that — when people think of the Michelson Found Animals — what are you known for the most? Aimee: To most pet owners, what we're known for the most is our free micro-chip registry. That's really a great tool to keep your micro-chip up to date and registered. We also offer a lot of other resources and support, whether that is a blog post to help you deal with cat allergies, or we do Facebook Live videos every couple of weeks and we talk about how to pick the right food for your pet, or dog training tips. We really are a bit of a one-stop-shop for all things pets. We want to support people on having the best possible relationship with their dogs and cats. I got on your website just a little bit to do some research. Like I said, I'll link to that for anybody listening, either on YouTube or through our podcast channel theoryofpets.com. There will be links on both of those to get to Michelson Found Animals. I noticed some great resources on there. There's also tips for anybody that maybe wants to get involve. There's some great information. We always advocate for adopting dogs instead of shopping for puppies. So there's some great information if you're thinking about adoption. One of the things I noticed on your site that you offer an education for potential pet parents about is fostering. And I think that's something that gets overlooked a lot by people who… They're a dog or a cat-lover, but they maybe think that they can't commit to being a full time pet parent for long term. Obviously, if you get a cat, you might be a pet owner for upwards of 20 years sometimes. And dogs can be ten years or more. So when you do adopting and fostering, do you have any tips for pet parents that might be thinking about that, or potential pet parents that might be thinking about that? Aimee: Fostering is a fantastic way to try out pet ownership. And there are groups all over the country, local groups, who always need help. Foster homes allow us and groups like us to place more animals, whether it's kittens, an adult cat, puppies, or a dog, it's a great way for you to have an animal in your home for a few weeks, and to see how that fits in your lifestyle, and to even see if that particular animal is going to be a fit for your lifestyle. Then of course there's foster failure, which is not actually a bad thing, where you end up keeping the pet that you thought you were only going to foster. But then by the time you've made the decision that you're going to keep that pet, you can be really confident that you know what you're getting into, and that the animal is a good fit for your home and your lifestyle. So we're huge fans of fostering. It's a great way to help out an animal organization in your area, and it's a great way to make sure that you are getting into something that you know you can handle, and getting the right pet. Samantha: And of course — spaying and neutering. There's some great information on your site as well. That's something else that I always advocate for. We want to prevent as many unwanted litters as possible. I think that's another thing, like micro-chipping, that sometimes gets some misinformation; people think that — if you spay or neuter, it can cause certain types of cancer; it can cause certain health issues; they worry about their pets going under anesthesia to get the surgery. I notice on your site there's some great information there too for pet owners. I know where you work in the adoption and foster area of the pet industry, I'm sure that you advocate for spaying and neutering as well; it's one of the best things that pet owners can do to prevent overpopulation. Aimee: We are such huge fans of spaying and neutering, and of sterilizing animals in general, that we actually have a program called the Michelson Prize and Grants, where we are investing in medical research for pets, to try and come up with a non-surgical “sterilant” for dogs and cats. Because you and I, if we didn't want to have children, we wouldn't go to the doctor and have a hysterectomy, but that's currently our only option for pets, and I understand pet owners not wanting to have surgery for their animal. Right now it is the only safe and effective option we have, but we are investing in the future of spay and neuter, where hopefully it will be as easy as getting a shot for your dog. Samantha: Wow. That's fantastic. That would be really exciting. I mean, that's a huge breakthrough. If you guys can figure that out, that's great. Aimee: Give us a few more years. Unfortunately, in pharmaceutical research things are measured in decades, not in months. But we have been working on it for almost ten years, and we're making progress. Samantha: That's great to hear. Wonderful. Great. Thank you so much, again, for being here. I really appreciate your time. I think keeping your pets safe and adopting and spaying and neutering — we talked about a lot of really great areas in the pet industry that I think pet parents aren't educated on. There's a lot of mis-information out there, which is what keeps a lot of pet owners from doing these types of things. So I really appreciate you coming on, and just talking about Michelson Found Animals, and all the great things that you guys do. Aimee: We appreciate the opportunity. Thank you so much for having us. Samantha: And again, if any of our listeners what some more information about Michelson Found Animals, there's a link to their website. If you're watching this on social media or YouTube, there's a link right underneath here that will take you onto our website, theoryofpets.com, and all the information that you need is right there. You can click on the link and check that out, and see their micro-chipping registry, and put your dog on that if you would like to do so. The moral of the story, I guess, is make sure to micro-chip your pet if you want to ensure that he always comes back to you as quickly as possible in the event that he gets lost. I hope you guys learned a lot from this podcast and from everything that Aimee told us. I really appreciate her coming on. It was some great information. PREVIOUS PODCAST: TOP #42 – Is a Rescue Dog Right For You?